Port Arthur was a city named for a captain of the English vessel Algerino, founded in Manchuria in 1858 on the site of a former Chinese settlement, Lao Shun. Forty years later China leased this city (along with its nearby territories) to Russia because of the Japanese threat. Thus Russia became the intercessor and defender of the Far East territories. In 1902 the St. Nicholas Orthodox garrison church was built there. The Russo-Japanese War of 1904-1905 was fought on account of competing claims to dominion in north-eastern China and Korea. 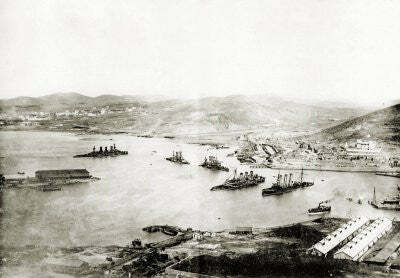 In February of 1904 Japan initiated war by attacking Port Arthur, the defense of which lasted into the beginning of 1905. The Japanese defeated the Russian Army in the general battle at Moukden, and the Russian Navy at the Korean Gulf (Susima Island). When the War ended, Japan’s military resources were running short but Russia was only beginning her military actions. Nevertheless, the Portsmouth Peace Treaty left Port Arthur and half of Sakhalin island to Japan, brought Korea under Japanese influence, and completely liquidated the Russian Pacific Navy. 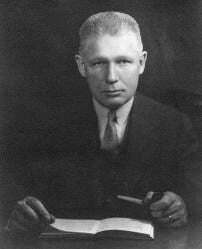 Now very few suppose that Japan was deprived of the fruits of its forthcoming victories by concluding the Portsmouth peace treaty. The contrary opinion predominates: Japan had already been exhausted by the end of May and only that very treaty saved it from complete defeat in its collision with Russia. In December 1903 an aged sailor who was one of the last defenders of Sevastopol during the Crimean War came to the city of Kiev to pray before the holy relics of the Lavra of the Caves. One night some strange noise woke the old man up and he saw the Theotokos with angels around her, among them the Archangel Michael and the Archangel Gabriel. The Theotokos was standing upon two discarded and broken swords on the shore of a bay, with her back turned to the water. She was holding a white aer with blue fringe, upon which was an Image of the Savior, “Not-Made-By-Hands.” Angels in the clouds of blinding light were holding a crown above her head and the Lord of Sabaoth was sitting still higher on the throne of glory, encircled with the blinding radiance. The old man was moved and experienced the uttermost awe, but the Theotokos comforted him and said, “Russia will soon be involved in a very difficult war on the shores of a far sea; many a woe is awaiting her. Paint an icon showing my appearance as it is now and send the icon to Port Arthur. If the icon is in that city, Orthodoxy will triumph over paganism and Russian warriors will attain my help, my patronage, and their victory.” The blinding light filled his room and the vision disappeared. This appearance was the first revelation of this kind in 20th century Russia. The 20th century has been called the time of the Russian Golgotha but also the Age of the Glory and Triumph of the Most Holy Theotokos, for in it the Theotokos manifested many miracles, signs, and revelations. The Most Pure One is ever present where her Son is being crucified. Therefore she did not forsake Russia’s Cross in that mournful time. In Kiev they took heed of the old sailor’s story, and but two months after the appearance of the Theotokos it was spoken about all over Russia. In the beginning of 1904 the Russo-Japanese war broke out with the attack of Japanese torpedo boats on the Russian ships of the port of Incheon, Korea. Russians remembered the behest of the Theotokos and began to raise money. Ten thousand people donated, giving kopeck by kopeck, and the icon was executed exactingly according to the description of the old sailor. It was blessed during Holy Week and sent to St. Petersburg, being entrusted to the care of Admiral Verkhovsky. The people of Kiev expressed their hope that the admiral would make every possible effort, losing no opportunity to deliver the icon safely and as quickly as possible to the fortress of Port Arthur. The icon was in the admiral’s house by Pascha, but he did not hasten to send it to the Far East. For several days his home was like an artist’s salon. Generals, senators, and representatives of the local authorities dropped by to have a look at the icon. Metropolitan Antony of St. Petersburg also paid a visit and reminded the admiral that the icon was rightly to have been delivered to Port Arthur and that he should have made haste to fulfill the will of Our Lady. On March 31st the commander of the Russian Navy, Stepan Makarov, perished not far from Port Arthur. During those days the Emperor Nicholas II wrote in his journal, “All the day long I could not come to myself because of this heartbreaking woe. Let God’s will abide in everything, but we shall ask for His mercy towards us who are sinful.” Admiral Verkhovsky apparently did not see the tragedy of Makarov’s death as sufficent cause to deliver the icon the Triumph of the Theotokos. Thus it continued to be a decorative element of his apartment. Admiral Nikolai Skryidlov was appointed to the position of the perished Makarov. When he was preparing to set out for the battlefield of Port Arthur, the Dowager Empress Maria (mother of Nicholas II) decided to take responsibility for the icon. After a short moleben the icon was delivered to the carriage-wagon of Admiral Skryidlov. He promised personally to bring the icon right to the cathedral of Port Arthur. But the admiral’s train did not go immediately to the Far East, as he himself was busy straightening out home and family affairs. In the end of April of 1904 Port Arthur was besieged and as a result Skryidlov came to Vladivostok instead of Port Arthur. Kneeling people in tears and with deep faith were praying before the icon. Those from the navy and the infantry, from soldiers to the admiral and general fell down before the icon and were asking in their zealous prayers for the consolation, encouragement, and intercession of the Most Holy Theotokos. Though the icon has not reached Port Arthur, let not the heart of the old sailor who was made worthy of this vision nor the hearts of those who raised money for the icon be troubled. The Lord is All-merciful and Almighty, and though the icon of His Most Pure Mother is in Vladivostok she is able to help the warriors of Port Arthur, and all Russian warriors. 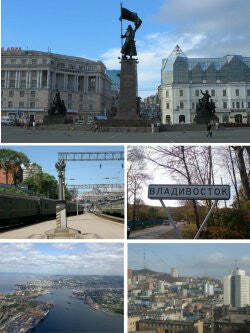 Let us, citizens of Vladivostok, leap for joy to have such a holy thing. As the icon has not come to the point of its final destination, it cannot give the grace-filled help and protection of the Theotokos. Now it is high time we asked for heavenly intercession, and if this help was promised upon the fulfillment of certain conditions, we ought not to have left things halfway done. Let every way of delivering the icon be attempted, however hazardous; this being the will of the Theotokos, Her icon is sure to get to Port Arthur. Even if it does not happen we will submit our will to the Theotokos, and there will be no reproach in our souls for our inattention to what the Heavenly Queen has told us through the old sailor. A group of young Orthodox officers tried several times but failed to deliver copies of the icon to Port Arthur. In the Dormition Cathedral molebens before the icon did not cease, an eyewitness wrote that there were as many crying and praying people as ever and one could hear the oft repeated question: why did they not send the icon to Port Arthur after all? Why was there no person who out of sheer love for the Motherland could take on a perilous but noble quest of delivering the icon of the Theotokos? It was then that the person appeared who could attempt such a noble deed: a retired officer, Nikolai Fyodorov. He was in his fifties and suffered from rheumatism and stomach disease, and surely never thought of any daring feats living as he did far from the Far East in Gatchina (near St. Petersburg). But then he came across the newspaper article expressing the view that nobody could fulfill the mission of taking the icon to its destination. So Nikolai Fyodorov told his wife about his taking a risky journey to the Far East and immediately made for the city of Kronstadt to ask the blessing of the great pastor of the Russian land, St. John of Kronstadt. Later he recounted that during his travel many little miracles occurred and all the difficult problems were somehow easily solved. He said that it was not surprising, as he had St. John’s blessing. On October 7th Nikolai arrived in Vladivostok. On the same day Admiral Skryidlov received from Copenhagen a telegram from the Dowager Empress, which said that he should let Mr. Fyodorov take further care of the icon. Delivering the icon by land was out of question so Nikolai decided to take it first to the city of Shanghai, China. The Norwegian steamer Eric was to take the icon on November 22nd. The Diocese News wrote that during the entire time before the appointed date Fyodorov fasted, made confession, and took Holy Communion. The steamer left and the believers waited hopefully for some news, but it did not come; Port Arthur fell on December 20th. Glory to God that there was a man in Russia who manifested the Christian courage and faith that we lack. Alas! The history of the icon of the Triumph of the Theotokos was a test for our faith, and the fact of its having been painted in Kiev is as unusual as the lesson which Port Arthur taught us. Having entered the 21st century we should not forget the will of the Most Pure One revealed to us one-hundred years ago. It was not fulfilled because some military officials lacked belief in her intercession. All of this left a sorrowful memory and a wound in the Russian heart. St. John of Kronstadt used to say that Russia failed because of negligence towards the holy icon. Nikolai Fyodorov had to give the icon to his military commanders. Afterwards it returned to Vladivostok in May 1905, having been in the itinerant church of the commander-in-chief. Following the revolution of 1917 the Dormition Cathedral was closed and then demolished. The icon of Port Arthur was lost in the whirl of tragic events that fell on Russia in the 20th century. There was much conjecture as to where the icon might be. Then the Lord was pleased to reveal yet another of His miracles. Though many attempted to erase the memories of the past, a command of the Theotokos cannot be rescinded. On February 18th, 1998 pilgrims from Vladivostok came across the icon of Port Arthur in an antique shop in Jerusalem! On May 6th, 1998 the Port Arthur icon of the “Triumph of the Theotokos” returned to Vladivostok. The joyful believers welcomed it with a Cross Procession and triumphant bell ringing. Now the original icon is in the chapel of the Vladivostok diocese of the Russian Orthodox Church. On Pascha of 2003 the doors of a new church in honor of this icon opened in Vladivostok. The church began holding services during the year of the 100th anniversary of the appearance of the Theotokos. There then emerged a public movement called “Blessing the Far East.” Soon an exact copy of the icon was produced, and this copy was carried in a seaside Cross Procession along the coast of the Primorye Region. In 2004 a second Cross Procession took place. A ship, the Pallada, delivered the icon to the city of Port Arthur (now Lushun, China). The Blessing the Far East organization, the church dedicated to the Port Arthur Icon, and the Far Eastern State Technical Fisheries University carried out this memorable event. The project was headed by Fr. Roman, the dean of the church dedicated to the Port Arthur Icon, as well as Dmitry Astapenko, the director of Russian club in Dalian, China. They, with the captain and crew of the Pallada, celebrated a triumphant service in the Russian cemetery of Port Arthur with prayers of penitence for those who had doubted the will of the Theotokos. Thus the Russian warriors who perished there received the icon after one-hundred years of waiting. Another copy of this icon from St. Petersburg had visited the cemetery one year earlier on May 9, 2003. This copy was made the same year and traveled all over Russia, the Far East, Serbia, the Caucasus, and the Ukraine. 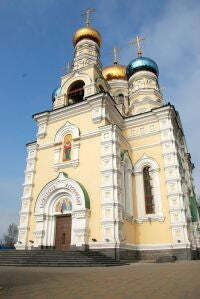 In January 2004 two guests from America, Dan Kendall and Gale Armstrong, of St. John Orthodox Community in Alaska, visited the Church of the Port Arthur Icon in Vladivostok. They became acquainted with the history of the icon. A copy, with inscriptions in English, was given to them after the Divine Liturgy on the Feast of the Nativity. Thus began the triumphant glorification of the icon all over North America. In September 2006, the St. Innocent Orthodox Missionary Society of Toronto delivered a miracle-working copy of the icon to Canada that had been executed in the Archangel Michael Russian Icon Art Salon exclusively for the Orthodox Christians of North America. The director of the Blessing the Far East organization, Yuri Korsakov, and the chairman of Russian St. Innocent Society, Arkady Mukhin, supported this missionary project. The Bishop of Anchorage, Sitka, and Alaska was the first to welcome the icon on its way to Canada in his blessed land spiritually related to Russia. 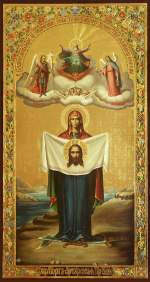 Then the akathist for the icon was translated into English in St. John’s Cathedral (Eagle River, Alaska). The Port Arthur Icon of the Triumph of the Theotokos began its triumphant tour across North America. Today this miracle-working copy has found its permanent home at Holy Cross Monastery in Wayne, WV, where in 2014 a complete church service was composed in honor of the icon and published with the blessing of His Grace, Bishop George.